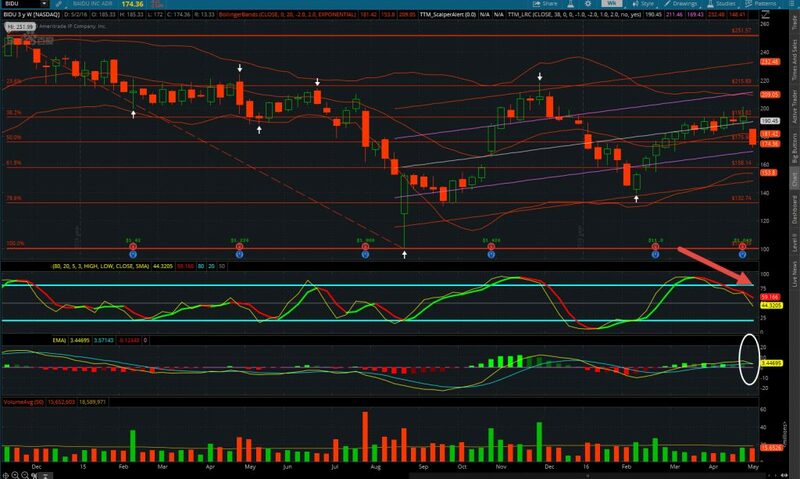 Ok, so many people are talking about, and no one is taking any action on it, so I decided to post a short write up to help those who might just want to know how I am trading Bidu. Last Thursday, Baidu ($BIDU) reported a strong quarter, and finally showed some real momentum in the 020 initiatives they invested so much on. 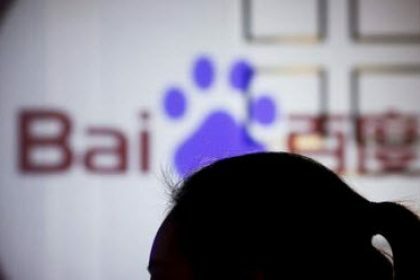 I was finally convinced they are ready to run until yesterday, when rumors started coming out that China regulators were launching an investigation into Baidu($BIDU) after the death of a student. You can read all about it (here). As Chinese, and deep into Google monetization model as my line of business, I know exactly what revenue streams comes from Baidu($BIDU). 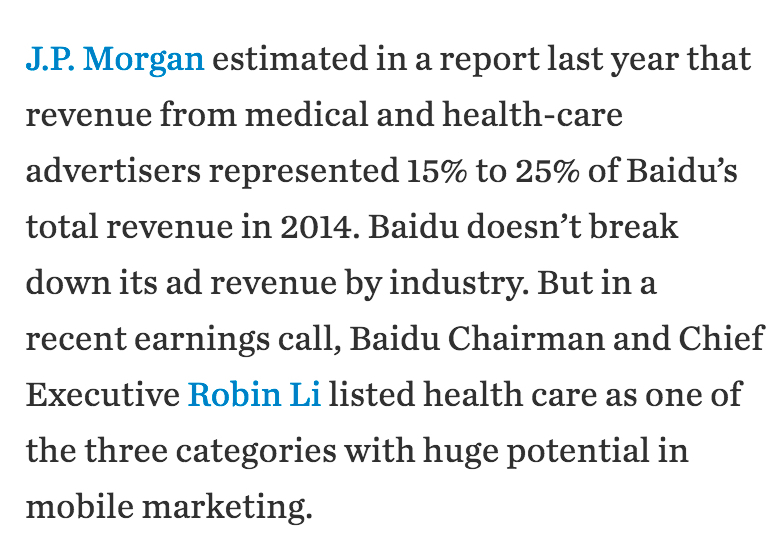 In the China market, and Baidu’s only real market, they relies heavily on the healthcare sector for majority their revenues. They do not provide a breakdown by sector, but some estimate it’s upwards of 15-25% : However, I know Chinese damn too well to know most of the business are done under the table, and corruptions gets censored by the news, so that what was reported with a grain of salt. Taking what is happening in China, and the outbreak in social media Weibo & Wechat, the China regulators will need to act, or at least pretend to act with some regulation which will have an impact on Baidu($BIDU). Through history, we know when something like this occurs, panic investors will sell first to protect profit, then to wait until things clear. So, how do you make money on this? Lets take a look at the technical to give us some clues. 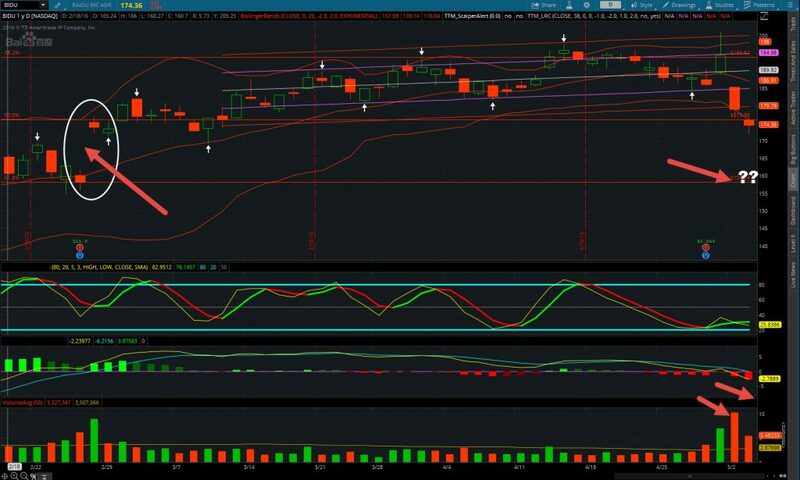 If we take a look at the weekly chart of BIDU, more of mid term, we can see the divergence on the stock, and my indicators are red trending down with a death cross that was triggered. Now, lets look at shorter terms and noticed its sitting right at where it last gap up from previous quarterly earning. Remember, Gaps will always get filled, and we will see $160 soon in the coming days. Lets take a look at option chains. I am not going to recommend trading this weeks, if you want, only do it on the last day as day trading when premium are almost to zero where is easy for you to pocket 200%~300% but you have to move fast. If you want to swing trade it into the low $160. I recommend you buy a couple weeks out, $170, $167.50, or $165 puts. If you want to keep your investment low, then Buy a Bear Put Spread $170/165 or $170/$160. For more advanced trader, You can do a butterfly 170/160/155. 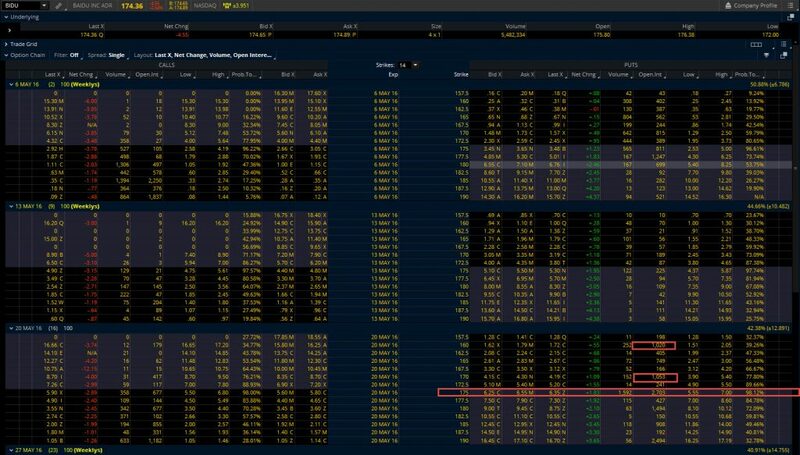 If you are conservative, given the market condition, just sell some Bear Call Credit Spreads 180/185 for easy cash.